I’m disappointed. Samoa Airways was established to make the fares cheaper but that is not what has happened. Their fares are increasing. Not only that, it hasn’t even been a year and yet they’ve already applied for a loan. It’s just another disaster waiting to unfold. There is only one reason why anyone would loan and that is to pay off other loans. So who knows if our country’s airlines has already faced tremendous losses which is why they have succumbed to such actions. But all in due time, eventually everything will be revealed. It’s a risky move. If they are already asking for a loan, then that tells you something, doesn’t it? It is only the beginning of what will be a never ending cycle of debt. I think it’s too early to make that call. They have just started and already are in need of financial assistance. This only points to poor planning. I do not support the loan. We are seeing history repeat itself. Our first airline was a complete failure, and so with our new airline there was hope for new positive changes yet, now they state they need money and are asking for it. Our Prime Minister Tuilaepa Lupesoliai Dr. Sailele Malielegaoi specifically spoke about it on television that with our new airline, he assured that there would be no problems whatsoever. But what happened? In a few months, they are already in debt. I do not agree with any financial support given to Samoa Airways requesting for a loan. The reasons being are that it has just been launched but it has already resorted to a loan. It has only been a couple of months but they are in need of financial assistance. $12 million is not cheap. 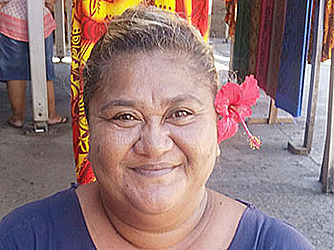 Samoa is already in debt and yet they want to add another burden. From my experience, there are only positive things to say about the airline. The service is great and so is the food, so in my opinion if they need the money to have further improvements for whatever reason, then it is worth the investment. I don’t really have any concerns about them loaning, you need to have money in other to make money, that’s all there is really, it’s just business. My only advice for them is to lower the cost of first class seats so people can fill it, due to the fact that first class is always empty.